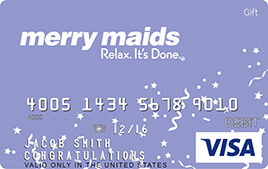 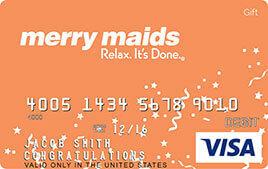 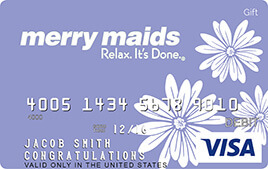 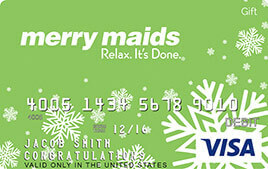 The Merry Maids design GiftCards.com Visa® Gift Card is a personalized gift card featuring the Merry Maids brand. 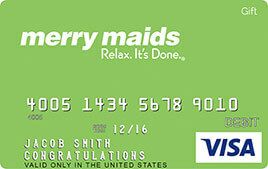 Custom embossed messages make this a unique gift for anyone in need of the Merry Maids thorough, consistent and customized cleaning service. 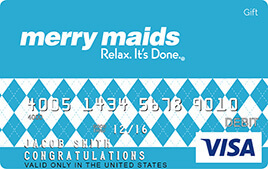 Visit MerryMaids.com to find a location near you. 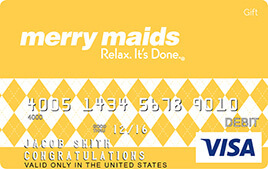 The Merry Maids design GiftCards.com Visa Gift Card is a personalized gift card featuring the Merry Maids brand. 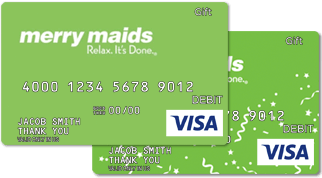 Custom embossed messages make this a unique gift for anyone in need of the Merry Maids thorough, consistent and customized cleaning service. 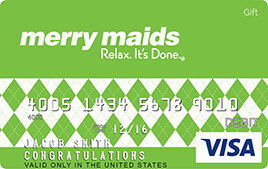 Visit MerryMaids.com to find a location near you.